Conservatives Of The Upstate: Double standard? 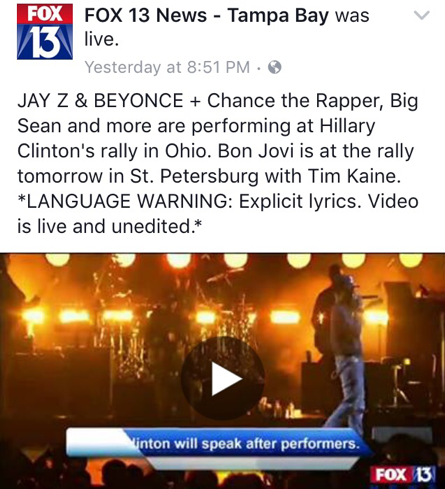 It truly is sick that people will vote for Hillary Clinton because Trump said something off camera negative about women, but when Hillary purposely invites rappers with horrific expletive laden lyrics about abusing women (and calling them "hos") - her base loves her? Double standard?